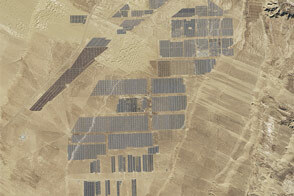 In August 2009, construction began on China’s first large-scale solar power station. 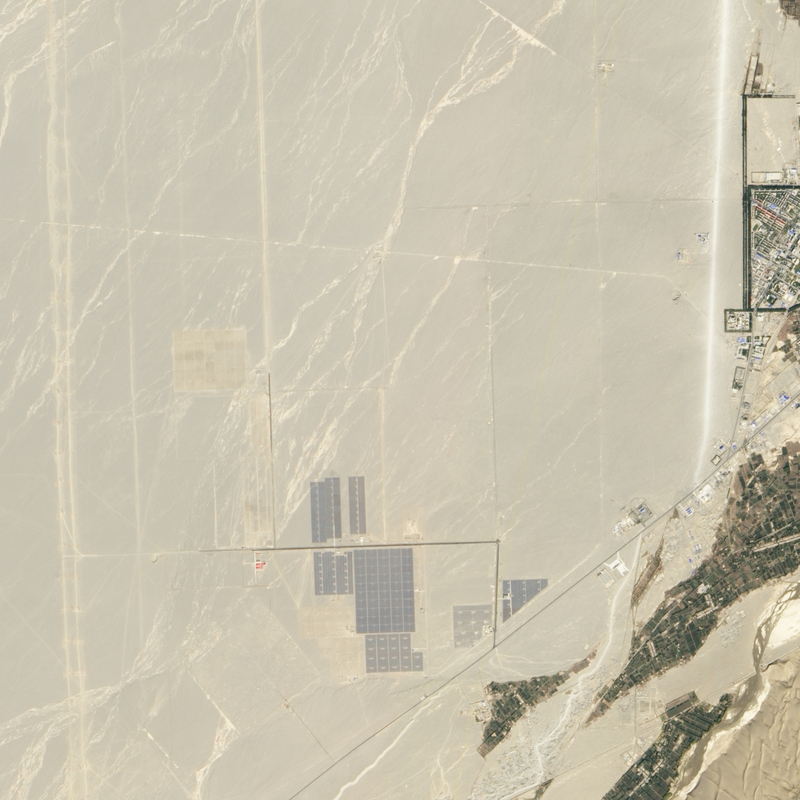 Six years later, solar panels have expanded much deeper into the Gobi Desert, where sunlight and land are abundant. 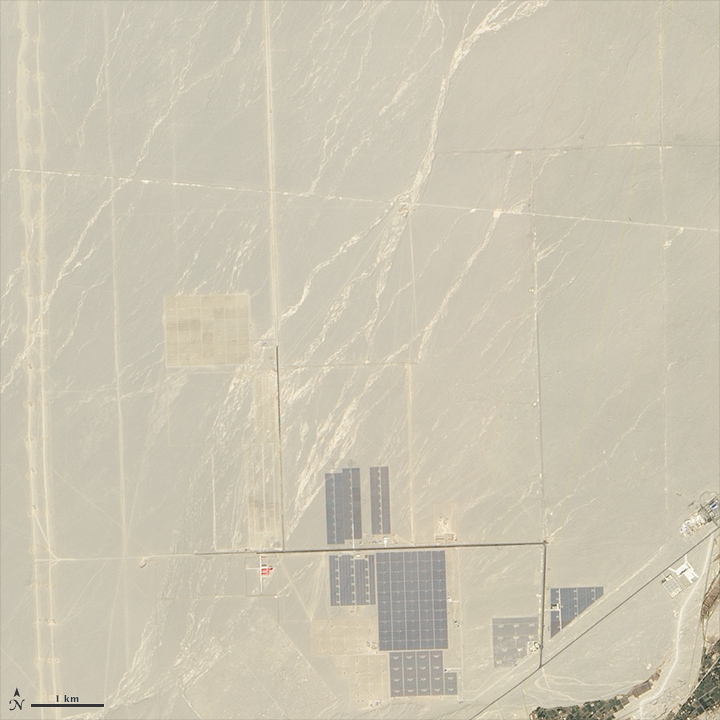 The Advanced Land Imager (ALI) on the Earth Observing-1 satellite acquired these images of the solar farms, located on the outskirts of Dunhuang in northwestern China’s Gansu Province. 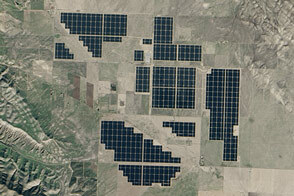 In 2012 (top image), grids of photovoltaic panels are visible on land that was essentially bare in an image from October 2006. 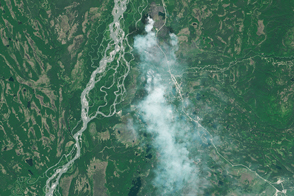 By 2015 (bottom image), panels appear to cover about three times the area since 2012. 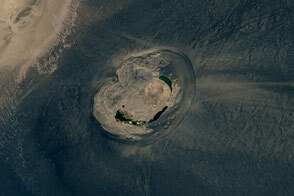 Turn on the image comparison tool to see the growth of land area covered by panels. Across the entire country, total installed capacity in 2014 was 28.05 gigawatts, according to PV Magazine. Of that, more than 10 gigawatts were newly added capacity in 2014, which led to a 200 percent increase in the kilowatt-hours of electricity produced via solar over the year before. And already in the first quarter of 2015, China is reported to have installed more than 5 gigawatts of new capacity. 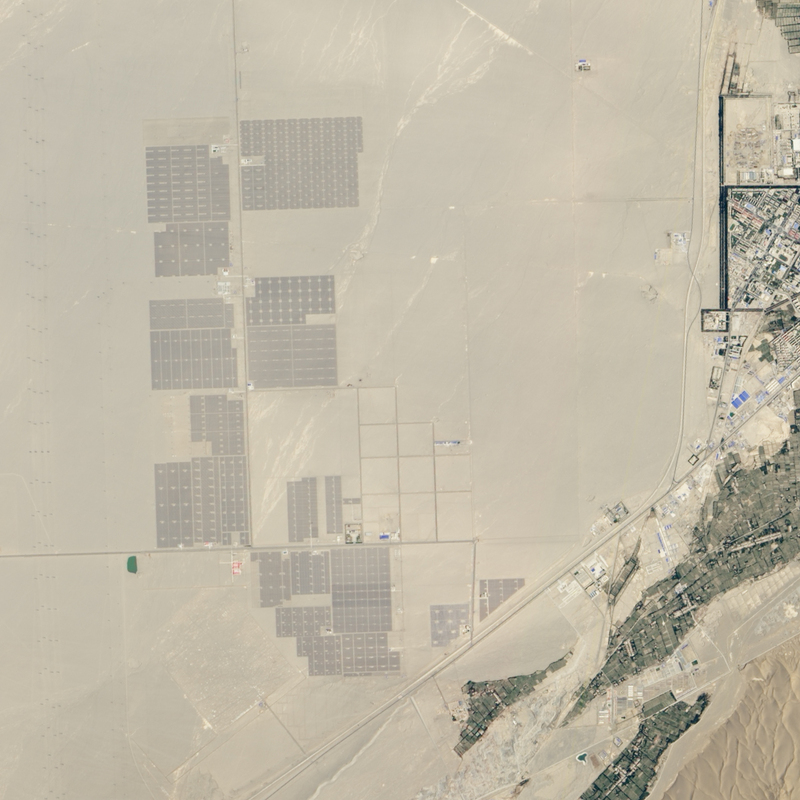 An increasing number of solar panels take advantage of the desert’s copious sunshine. China Daily (2015, March 6) Gansu province promotes new energy development. Accessed June 16, 2015. Clean Technica (2015, April 20) China Installed 5.04 GW Of New Solar In Q1’15. Accessed June 16, 2015. Clean Technica (2015, March 19) China’s National Energy Administration: 17.8GW Of New Solar PV in 2015. Accessed June 16, 2015. 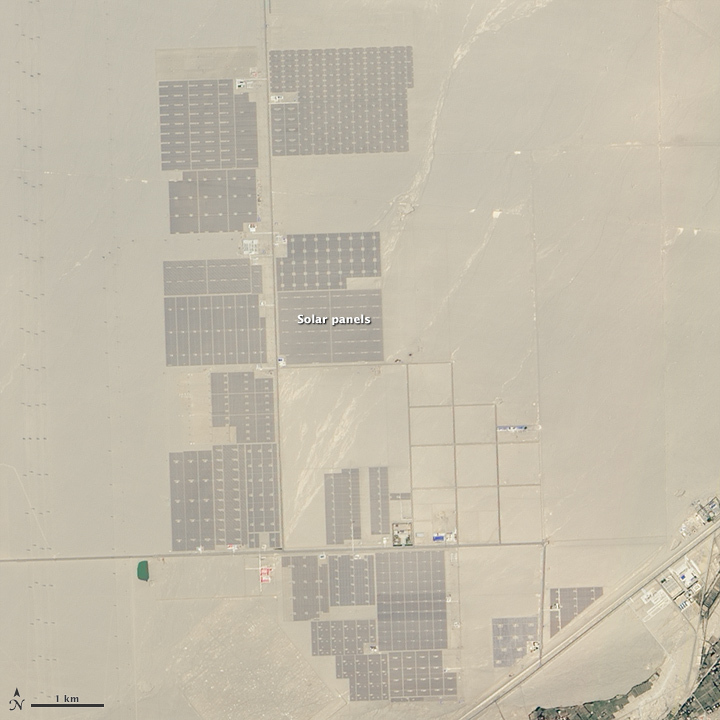 NASA Earth Observatory (2013, February 1) Solar Farm in Dunhuang. pv magazine (2014, February 16) China: PV installed capacity grows to almost 30 GW in 2014. Accessed June 16, 2015. Reuters (2014, January 23) China’s solar industry rebounds, but will boom-bust cycle repeat? Accessed June 16, 2015. 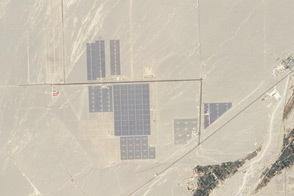 Wiki-Solar (2014) Qili Photoelectricity Park. Accessed June 16, 2015.